In lieu of flowers memorial donations may be made to the Community Church. 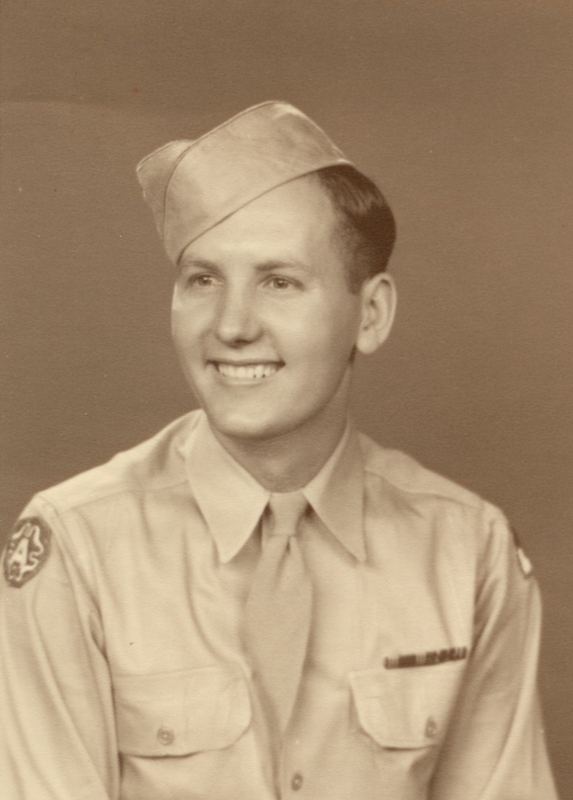 Willard Norman Vilhauer, age 90, of El Dorado Springs, MO, passed from this life on September 12, 2012. He was born on August 24, 1922, to Roy Lee Vilhauer and Bessie Belle Morlan Vilhauer in Cedar County, MO. On September 3, 1943, he married Lula Fern Bland. From this union were born three children: Ronald Kent Vilhauer, Stanley Ray Vilhauer, and Linda Sue Vilhauer Mann. Mom and Dad spent most of their life farming in Cedar County, MO. Dad was a veteran of World War II serving in England, France and Germany. He was a graduate of Draughon’s Business School that gave him the background for his accounting business. Over the years he worked as a bookkeeper for several businesses. In later years he sold outside wood furnaces and kept books for local businesses out of his home. He finally retired at the age of 85. Dad worked hard all of his life and was a good provider for his family. He was proud of his family and expected a lot from them. He was a strict disciplinarian and instilled a strong work ethic in his children. He was always working but did take time to teach us to fish. He also enjoyed having the grandkids around and taking them fishing too. Usually he would only take one at a time because two were too many to take care of while trying to fish. Norman was preceded in death by his parents; his wife, Fern; one son, Ronald Kent Vilhauer; one granddaughter, Stephanie Rene Vilhauer; one sister, Marjorie Vilhauer Witt; and many brothers-in-law and sisters-in-law. He is survived by his daughter Linda Mann and husband Mike; one son Stanley Vilhauer and wife Nelmay; three grandchildren, Michael Mann, Michelle Nelson, and John Vilhauer; four great grandchildren; one great, great grandchild; and one sister, Arleta Edwards. Funeral services were held on Saturday, September 15, 2012, at 10:00 a.m. at Bland-Hackleman Funeral Home with Rev. Brent Bland officiating. Music was provided by Suzanne Gladden and Cassie Sayler. Burial followed in Love Cemetery under the direction of Bland-Hackleman Funeral Home. Pallbearers were John Vilhauer, Michael Mann, Caleb Coale, Jared Asmus, Erick Butterfield, and Ed Morlan. Honorary pallbearers were Randy E. Bland, W. D. Seitz, Fred Wosoba, and Dewey Arnold.